As Autumn beckons and the leaves begin to turn, it’s hard not to pay attention to nature as it changes course. However, Hackney Road is home to a plant-filled haven that stays in bloom all year round. Conservatory Archives houses the greens of your dreams - cacti, succulents and hanging plants fill this pint-sized shop and make it impossible to walk past without going in. We were lucky enough to shoot our latest editorial there on a drizzly Friday morning with our long-time collaborators, AL&K. Pared-back outfits by the likes of Bug Clothing and The Acey combine with a chopped-in fringe look that we’ve been lusting after of late. Who knew such a leafy, wild wonderland existed just down the road? Anna used all RMS Beauty products on Jade - Base; “Un” Cover-Up #11, Eyes; Eye Polish in Lucky, Lips; Lip Shine in Moment. All available on Glasshouse Shop. With special thanks to Jin at Conservatory Archives. 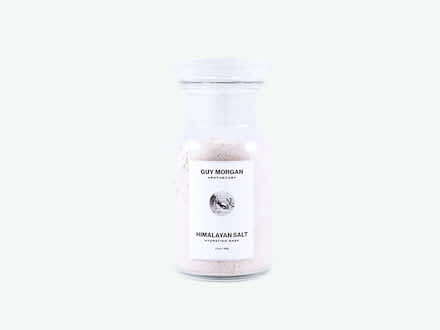 Another local discovery, Guy Morgan’s hand crafted Himalayan Salt Mask will cleanse deeply and refresh. 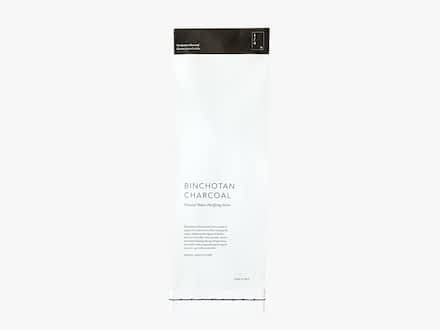 Using nature’s finest and most purifying charcoal, use this in its raw form to filter water.